With this reports financial department in every sales organization can quickly prepare 360 degrees view company condition. Through daily, monthly and yearly insights they can see how organization worked in the past, today and what will come with the future. Sales performance is viewed on interactive reports, maps and key indicators. 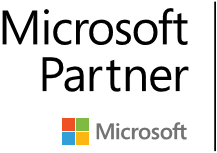 As Microsoft Partner we deliver Business Intelligence and SQL projects to all kind of organization. In this showcase we present solution for sales organization dedicated for CFO. In many organization creating reports often are created with Microsoft Excel files which must go through all members of the team. This kind of cooperation could generate false data in business critical reports and moreover this may result in an unfavorable business decisions. Unauthorized employees have access to sensitive data which should be not visible for them. The report preparation time can be counted in days and even months. Our solution is to bring data directly from datasource, filter data to specific user and present all key KPI, charts and graphs in PowerBI to CFO who can generate 360 degree view of company financial condition in minutes. Every employees from team member to CEO can view different data sets, with different KPI, charts and graphs. Business critical information are showed to all key managers in company without any unauthorized employees. All data are stored in one place, customer using their work accounts to view dashboards and reports. CFO can prepare simulation of cashflow to plan investments in nearly future. PowerBI will be new fresh look to company condition and become key tool to prepare business analysis now and in the future.